Matthew Noyes & John Dickerson, Jr.
You know, there are frequent movies lately about how some person suddenly decides that he or she needs to change something in life, to understand himself and so (s)he goes into some long journey. Someone, like the heroine of Julia Roberts in Eat Pray Love, goes for vacation for the whole year. And someone gather his belongings and take a huge distance to cover on foot. However, someone has the money for it, as in the movie "Walk in The Woods", which is located next to this one, a couple of pages in front of this film. 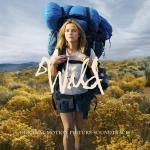 And some, like the heroine of Reese Witherspoon here, without money, full of despair and without having a single long distances’ walking experience, as in this film, has to make a pass of 1,100 kilometers. Dragging a huge backpack, that looks bigger than she is. In the course of these life issues, the main characters always change. They cannot remain unchanged, because their life receives an immensely powerful jolt. During such long independent travelling, a lot of thoughts come to mind. And in the end, when the whole gamut of emotions that accompany the traveler, was experienced for several times – fear, hate, despair, pain, acceptance, indifference, and finally, joy – there comes enlightenment. The movie is worth to watch from its beginning to the end. The same as another two mentioned here. And be sure to enjoy this music, which is matched to this motion picture. Surprisingly gentle compositions (e.g., El Condor Pasa (if I Could) by Simon & Garfunkel or I Can Never Go Home Anymore by Shangri-Las) affect the mood, giving impetus to think on all this.